2005 Somerset Lane, Wheaton, IL 60189 Just listed for sale! The Economos & Anderson Real Estate Group is pleased to present its latest listing at 2005 Somerset Lane, Wheaton. 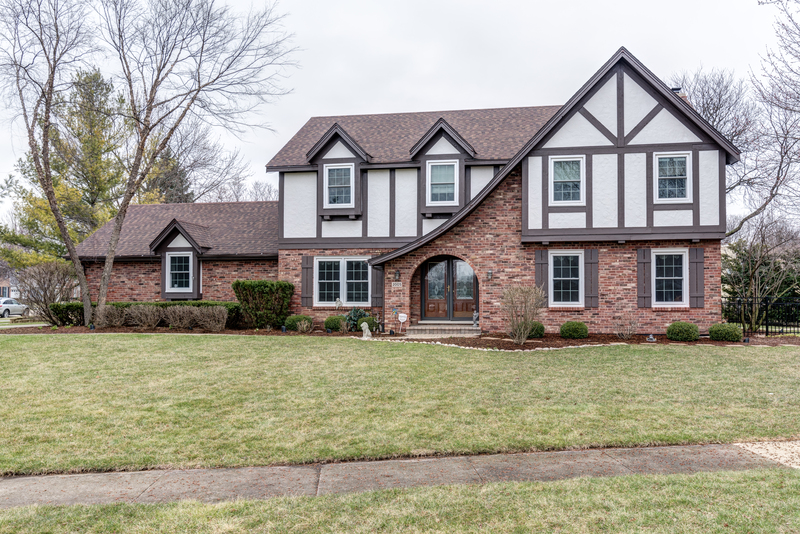 Priced at $549,900, this spacious Stonehedge Tudor sits on a large corner lot and features 2564 sq. ft. plus a full finished basement! The traditional floor plan showcases hardwood flooring in the dining and family rooms, plus crown molding, chair rail and exposed beams. The kitchen is ideal for the avid cook, with huge walk-in pantry, ample granite counter space, and high-end appliances–the double-oven/range plus built-in microwave/oven combo add to the perfect setup for entertaining! Four large bedrooms upstairs and a finished basement with full bath and finished storage area complete the picture. Enjoy the summer months grilling on the back yard brick patio, or explore the great family-friendly Stonehedge neighborhood. New roof 2015, all new siding 2016, basement and bath remodel 2011. Close to shopping, dining and transportation, plus highly-rated Wheaton District 200 schools, including Whittier Elementary, Edison Junior High and Wheaton Warrenville South HS. If you would like to see this home or would like to have your questions answered, please feel free to call Pete Economos. Thank you for taking the time to learn more about this home!